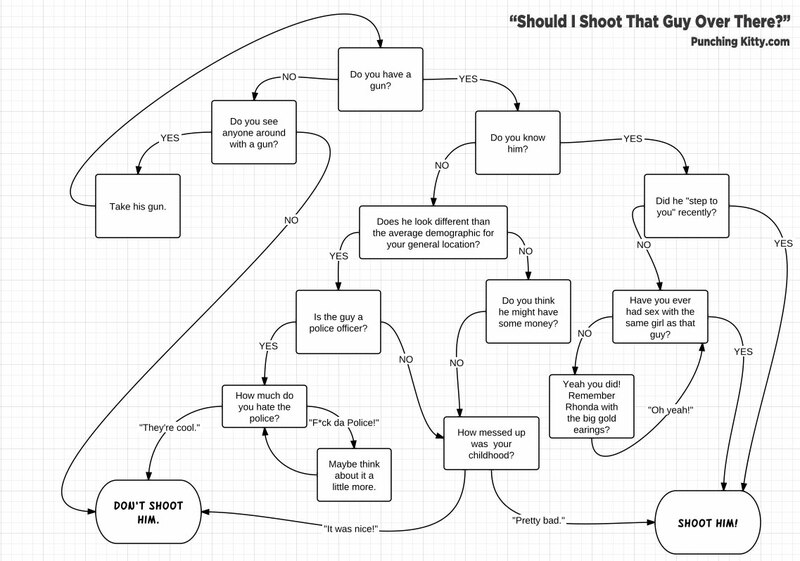 Flow Chart Friday: Should I Shoot That Guy Over There? It’s a question that pops in to the heads of many a St. Louis area resident: “Should I should that guy over there?” It’s not always an easy question, so going forward, use this handy flow chart to decide. The original version had a part where it asked if you were from a drug-addled neighborhood in North City, and if so, proceed directly to “Shoot him!” but we took it out because if people from drug-addled neighborhoods in North City can’t read, so there’s really no point.